LAS VEGAS, Jan. 4, 2017 /PRNewswire/ -- Omron Healthcare, Inc., the market leader in heart health and wellness technology, today unveiled new blood pressure monitors that represent a significant evolution in the global category of personal heart health technology. Omron executives at the Consumer Electronics Show (CES) in Las Vegas previewed the company's next generation prototype, Project Zero 2.0 – an ultra-compact, wearable wrist device that measures blood pressure with clinical accuracy and tracks other heart health data such as sleep patterns. The company also showcased the Omron EVOLV™ upper arm blood pressure monitor – which has just launched for retail purchase – and the HeartVue™ wrist monitor which stole the spotlight when it was previewed at the CES Digital Health Summit in 2016 and is expected to arrive in stores this spring. "Omron continues to evolve the experience of checking your blood pressure with technology that is increasingly more portable, more mobile, more connected and easier to use. Checking your blood pressure only in a doctor's office or in a machine at a pharmacy has been redefined by convenient clinically-accurate Omron personal medical devices that can be used at home, at work or on the go," said Omron President and CEO Ranndy Kellogg. "We are revolutionizing personal heart health technology to encourage behavior that we know can save lives." "Approximately 80 million people in this country are hypertensive and at greater risk of suffering a heart attack or stroke," added Kellogg. "For them, it is critically important to monitor their blood pressure regularly and to get an accurate reading. Getting and sharing that clinically accurate data can significantly reduce their chances of experiencing a catastrophic cardiac event. Omron innovates to make that as easy, convenient and even attractive as possible." Omron previewed its next generation of in-development Omron blood pressure monitors, a prototype of the Project Zero 2.0 wrist monitor. The prototype is a "wearable" medical device that measures blood pressure with clinical accuracy at the push of a button. Project Zero 2.0 has the appearance of a wristwatch and, in addition to blood pressure, will measure physical activity and sleep. The device marks the first time that such technology has been miniaturized sufficiently to accurately measure blood pressure and to fit in the form of a watch. Multiple Omron-patented technologies make this design possible. 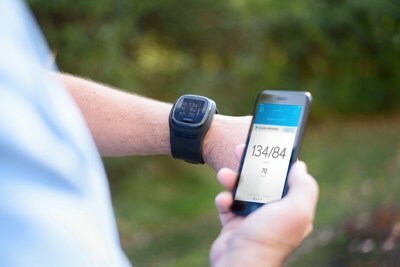 Like all Omron connected devices, the Project Zero 2.0 wrist monitor will sync with an Omron app, so users can track and share vital data with their healthcare providers. The device features a rechargeable battery and will last about a week on one charge. "The Project 2.0 technology will redefine what have become standard notions of 'wearable'," said Kellogg. "Our devices are a necessity, not a novelty. Omron blood pressure monitors are medical devices that measure far more than steps or heart rate; they provide accurate insights into your blood pressure numbers." The Omron EVOLV was previewed at CES 2016 as an Omron Project Zero prototype upper arm device. The company just released the EVOLV for retail sale on OmronHealthcare.com, and it will become widely available in retail pharmacies in the coming weeks. The EVOLV is a sleek, one-piece monitor that has no tabletop unit, no tubes and no wires. Users place the entire unit on the upper arm and the blood pressure reading is displayed in bold numbers right on the face of the device. The monitor uses Omron Healthcare's exclusive heart health algorithm, Advanced Accuracy, to measure more data points and eliminate movements to get the most precise reading. The EVOLV syncs with the OMRON Connect US App via Bluetooth® so readings can be stored, tracked over time and shared. The Omron HeartVue is the smallest monitor Omron has ever made to date and will meet standards for clinical accuracy when it is released for sale this spring. The Omron HeartVue stole the spotlight when it was previewed at the CES Digital Health Summit in 2016. This discreet, ultra-portable device is free of upper arm cuffs, wires or hoses and can be custom fit to the user's wrist. In addition to blood pressure measurement, HeartVue also tracks physical activity and provides sleep data. HeartVue works seamlessly with the Omron Connect US App so readings can be shared with a doctor for more insightful care. Along with the new devices, Omron introduced its newest app, which syncs with the new EVOLV and the HeartVue. The OMRON Connect US App provides a complete view of blood pressure with systolic, diastolic and pulse readings and maintains data on BMI, body fat percentage and weight all in one place so users can track progress over time. An easy to navigate, approachable, non-intimidating interface features an intuitive dashboard that conveniently charts and graphs data – all customizable by day, week, month or year. Users may quickly and conveniently email readings to a doctor or family member anywhere, anytime. Users of the new EVOLV and HeartVue devices can download the new OMRON Connect US App for free from the Apple iOS or Google Play stores. Omron Healthcare recently announced an evolution in its goal – Going for Zero heart attacks and strokes – and these technological strides represent the company's investment in that mission. "We have made Going for Zero – the elimination of heart attack and stroke – the guiding principle for everything we do, including the innovation we're showing at CES," said Kellogg. "Creating technology that encourages regular monitoring and improves communication and quality of care is a core piece of that broader national effort." Omron Healthcare is undertaking a nationwide public awareness & education program to prioritize the fight against heart attack and stroke and forming collaborations with like-minded organizations. 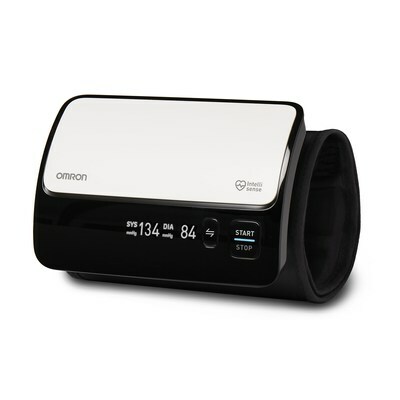 For every visitor who checks in to its CES booth, Omron will donate a blood pressure monitor to the American Heart Association to provide underserved communities with access to this groundbreaking heart health technology. "The American Heart Association's Check. Change. Control© program aims to help people with high blood pressure maintain their blood pressure levels at a healthy range to avoid heart attacks and strokes," said Steven Houser, Ph. D., president of the American Heart Association. "We appreciate Omron Healthcare likewise working to raise awareness of hypertension and help Americans achieve better blood pressure control." Omron executives are hosting product demos and discussing the Going for Zero mission at Booth #43821 in the Sands Expo at the Venetian, Level 2. To learn more about Omron Healthcare's devices, the new OMRON Connect US App and Going for Zero, visit OmronHealthcare.com. Omron Healthcare, Inc. is a leading manufacturer and distributor of personal wellness products. Omron's market-leading products include home blood pressure monitors and electrotherapy devices. Since Omron invented its first blood pressure monitors nearly 40 years ago, the company has been passionate about empowering people to take charge of their health at home through precise technology. Helping people improve their ability to live a healthier life is the heart and soul of Omron's purpose. For more information, visit OmronHealthcare.com.